Having a good quality roof is paramount to having a sturdy, safe, and reliable home. 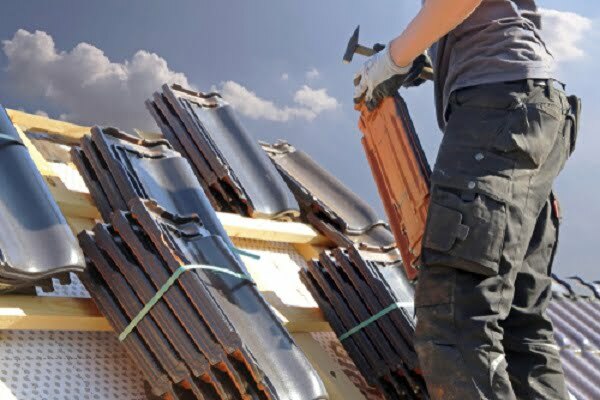 However, one of the biggest challenges for homeowners when they want to have their roof replaced or fixed is finding the right roofing contractor to do the job. It is all the more confusing when you have no idea what to look for in a roofing company. You need to find a reputable roofing contractor such as Superior Roofing IL that can do the job precisely. Local contractors are the best choice. It is easier to find out if the roofing company is reputable because you can find previous customers within the community. Local roofing companies are also more informed about local code regulations. One of the issues about hiring a non-local company is the warranty. The standard warranty on services such as roofing is five years and when you can no longer contact the company you hired because they moved, your warranty will not be used and you need to hire another company to fix your roof again, which will cost you more. Insurance is important. Roofing companies need to have insurance for their services. When they provide you with a certificate, you need to follow up on it by calling the insurance company and confirming its validity. You will sleep better at night knowing that an insurance company is covering the services. Cheapest is not always best. While it is understandable that you need to set a budget for your roof, it is also crucial that you get good quality services. Remember that you get what you pay for. What you can do is make an appointment with several roofing companies and get a price for the type of work that you need on your house. If you are still in doubt about the pricing, you may want to talk to neighbors or family members who had hired the same services so you will have an idea of what is reasonable and what is not. Do not trust storm chasers. There are many shady roofing companies that knock on your door and tell you they checked your roof after a storm and found damage. Some of them will force you to sign a contract immediately. Do not fall for this tactic. Check the contract and take a few days to review it. Choose a company that is transparent and communicates with you. Roofing companies prepare a contract that you need to sign before they start fixing your roof. You need to tell them to list all the job details in the contract. Everything that they said they would do that is included in the price should be in the contract. Otherwise, when you ask them why something was not done, they will simply tell you that it was not in the contract and if you have to go to court for it, you will have no proof. Communication is also important. When you call the roofing company, you should be able to speak to someone who could answer your questions or concerns such as roofing designs and materials. Every business needs to be able to communicate effectively with their customers. If they don’t, you can walk away and find another. Ask for certifications. It is quite easy to call yourself a roofing expert on the internet these days. They build a website and claim to be a certified roofer when, in fact, they are not. Ask to see their license and check it online. Certified roofers have been trained in their line of work, plus they have the necessary experience. Do a little reading on roofing materials. Reputable roofing companies will give you several options when choosing roofing materials such as shingles. It is better that you have a little knowledge so you can ask better questions. A roofing contractor that does not give you options is not looking out for you. They are only interested in the money they’re going to make. Shingles, for example, can affect the resale value of your house greatly so you need to know what your options are. Finding the right roofing company takes time. You should not be in a hurry to decide whose services you are going to hire. If you have a deadline, better start doing your research a few months beforehand so you won’t be rushed into signing a contract just because you are running out of time. Follow these tips so you can find a contractor that will give you the services that you require and will fit your budget.